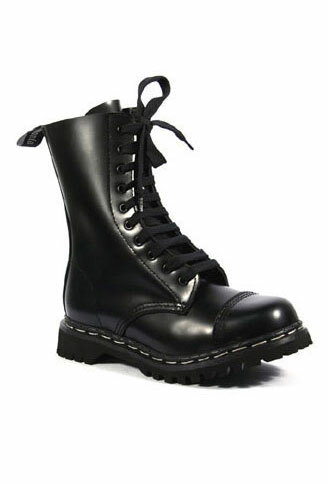 10 eyelet black leather lace-up combat boot with steel toe and a 1 1/4 inch heel. Calf boot. 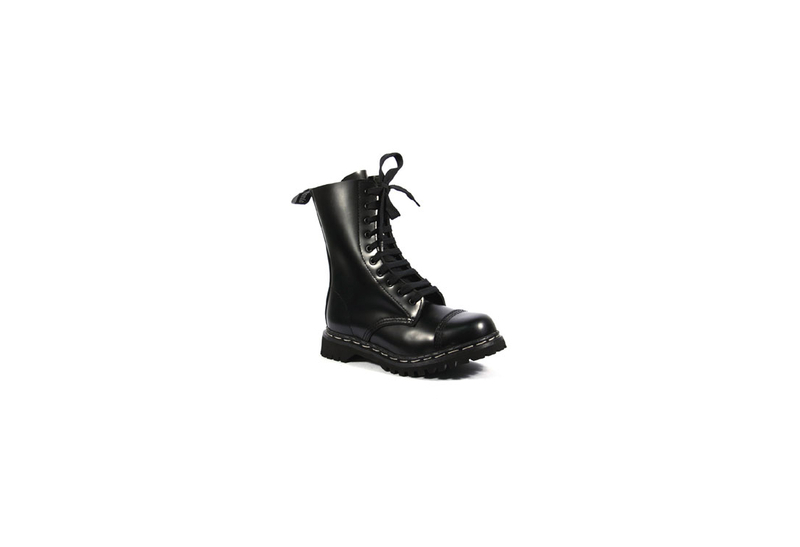 These boots are perfect for a game or air soft or paint ball and very comfortable to wear. 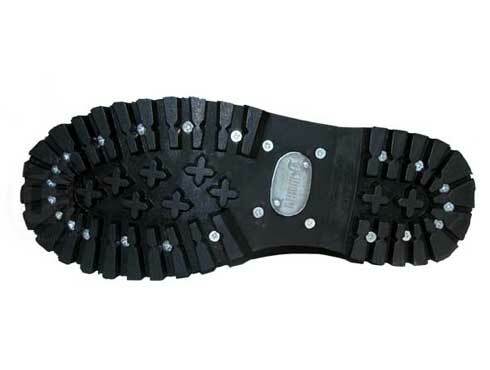 They can be worn on bikes and other heavy duty activities. Solid choice for a basic boot.